Hospitals across the state are sending away ambulances, flying in nurses from out of state and not letting children visit their loved ones for fear they’ll spread the flu. Others are canceling surgeries and erecting tents in their parking lots so they can triage the hordes of flu patients. Doctors say that people who haven’t yet gotten the flu shot should still get it. It takes about two weeks to take effect. National health officials predict the shot may only be 30% effective this year, though the vaccine can reduce the severity and length of the illness for those who get sick. Even the “30% effective” claim, by the way, is complete quackery. There’s actually no clinical trial to back that up. The statistic is literally fabricated by the vaccine industry, pushed out as “fact” and then obediently repeated by every media outlet without a single fact to back it up. And yes, these assertions are supported by literally thousands of published, peer-reviewed scientific studies. You can find them all at Science.NaturalNews.com which now carries over 12 million NIH (PubMed) abstracts, and we’re also publishing several science stories each day at Science.news (watch for more reporting there on immune-boosting, evidence-backed supplements). As just one example of science-supported evidence for these supplements protecting people from influenza, read this piece entitled High-dose zinc supplements found to speed recovery from colds and flu by 300%, which cites a study conducted at the University of Helsinki and published in Open Forum Infectious Diseases. But nutrition, predictably, is mentioned nowhere in the LA Times story or other media propaganda pieces. That’s because their sole purpose is to promote the “flupocalypse” mass hysteria and tie it to a nationwide flu vaccine push that demands mindless, fact-less obedience to medical quackery. Why doesn’t the LA Times teach its readers how to prevent the flu with nutrition and natural substances? Because that obviously doesn’t promote the profits of the corrupt vaccine industry, which dictates nearly all infectious disease coverage published by the dishonest media. 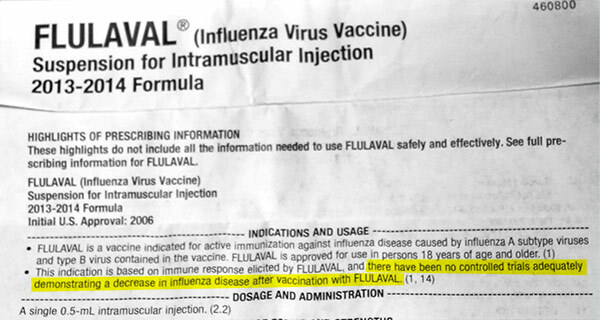 The story also utterly fails to mention that flu shots contain mercury, a brain-damaging heavy metal that’s intentionally used as a vaccine preservative called Thimerosal. This toxic mercury is what’s responsible for the increase in spontaneous abortions in pregnant women who receive the shot, as was shockingly demonstrated by a CDC-funded study published last year. 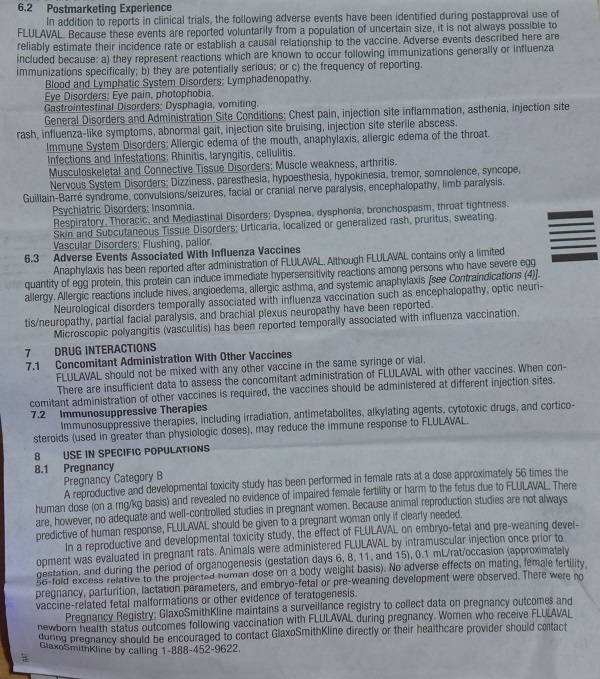 Notably, the LA Times article makes no mention whatsoever of the dangers of flu shots given to pregnant women. As my own ICP-MS (mass spec) laboratory tests confirmed years ago, flu shots contain 25,000 higher concentration of mercury than what the EPA allows in the public water supply. The LA Times seems to be utterly unaware of this scientific reality. 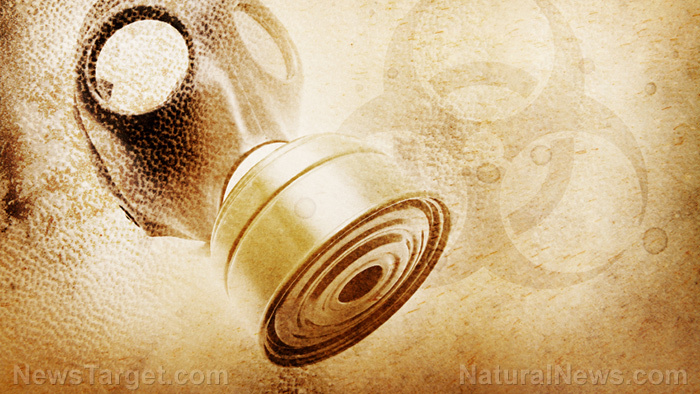 Vaccines, by the way, also contain brain-damaging formaldehyde and MSG, not just mercury. This fact is openly admitted by the CDC, yet completely ignored by the propaganda media. A medical study conducted at the Ohio State University Wexner Medical Center found that women who received flu vaccines had a weakened immune system response in subsequent years. 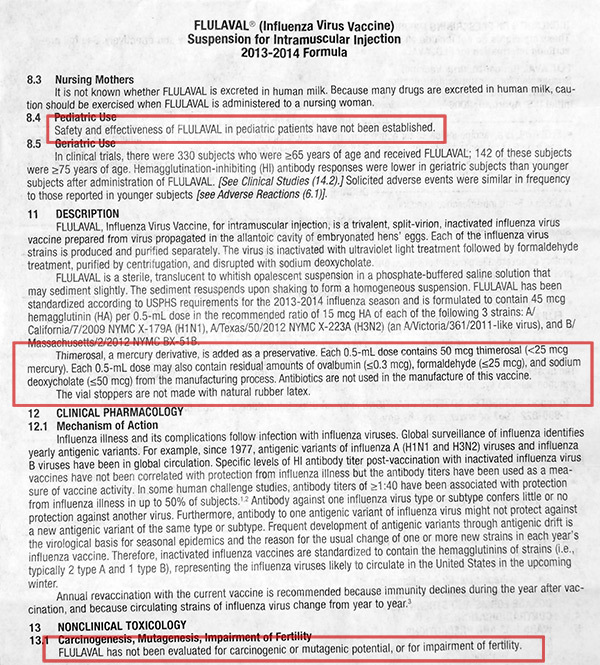 Even more shockingly, the “flupocalypse” propagandists never mention the scientific facts surrounding flu vaccines, which is that they are almost never subjected to clinical trialsor other rigorous scientific methods to determine whether they work. Keep in mind, too, that a study published in Human & Environmental Toxicology found that mercury-laced flu vaccines caused a 4,250 percent increase in fetal deaths during the 2009 flu season. If there really is a “flupocalypse” across America, it’s not because people didn’t get enough flu shots. It’s actually because flu shots promote weakened immunity, resulting in increased vulnerability to influenza infections in subsequent years. It’s not just the LA Times, of course: The exact same quack science propaganda push is aggressively pursued by USA Today, the New York Times, the Washington Post and CNN. The mission of all these fake news outlets is the same: Keep their audience uninformed, ignorant and diseased in order to appease their Big Pharma advertisers that profit from the ongoing treatment of illness. None of this happens by coincidence. It’s all a strategy for maximizing pharma profits while demanding absolute obedience to a quack science “vaccine cartel” regime that rejects all real science or evidence that contradicts its pseudoscientific dogma. Stay informed by reading Medicine.news, which is about to be revamped to carry significantly more science-based medicine articles describing the therapeutic properties of natural substances. And if you really want to avoid the flu, don’t let the toxic pharma industrial complex inject you with heavy metals and viral fragments. Simply boost your natural immunity using the nutrition, healing foods and lifestyle habits that your body was designed to leverage for your protection. Isn’t it time to fully recover from addiction without spending your entire life ‘in recovery‘? Haven’t you had enough? Recovery should be a one time thing – not revolving door torture. Please check out our faith based affordable online individualized recovery program at VictoryRetreatMontana.com and see how we are re-defining addiction and re-inventing recovery so that it has a final end. Posted on 16 Jan 2018 16 Jan 2018 by NationalAddictionNewsPosted in Big Med, Big Pharma, Dangerous Prescription Drugs, Flu, Uncategorized, VaccinesTagged badhealth, badmedicine, brainwashing, Dangerous Medicine, fake news, fake science, flu shot, flupocalypse, Immunizations, influenza, Journalism, junk science, propaganda, pseudoscience, quackery, Thimerosal, Vaccines.